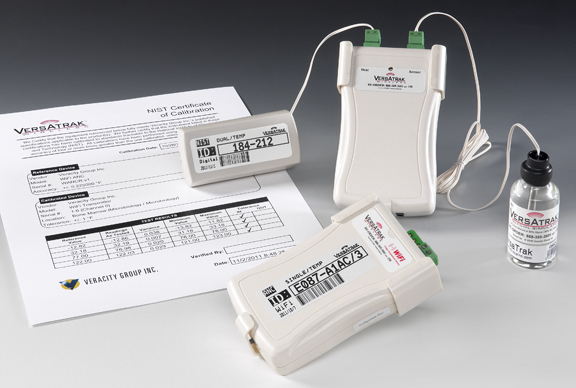 Auto Node Calibration (ANC) – Veracity Group Inc.
Auto Node Calibration (ANC) is a patented technology that is built into our temperature Wi-Fi devices and into a standalone ANC Validator for use with new and existing 900 MHz transmitters. This allows you to convert your existing wireless system to a VersaTrak system and take advantage of our technologies without having to replace your infrastructure! Make sure your system meets the requirements of AABB, CAP and the CDC with Vaccine for Children (VFC) storage. We took the entire manual process of going to every transmitter to re-certify it and built it onto a chip that re-certifies your transmitters to a NIST-traceable standard once a week – automatically!